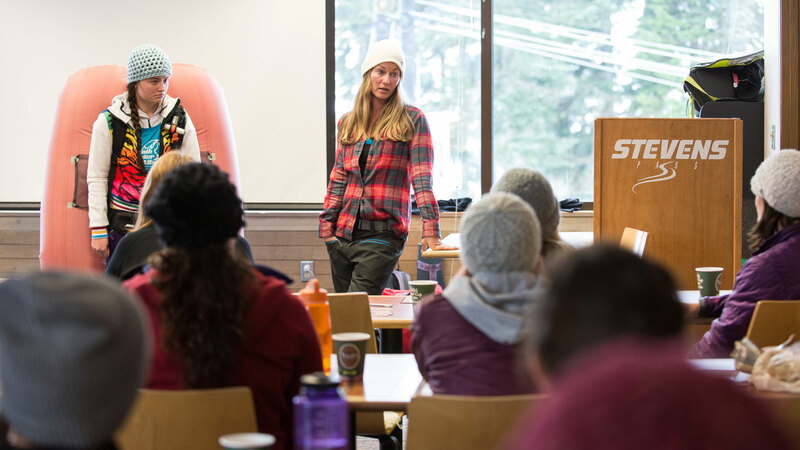 Pro skiers Ingrid Backstrom, Michelle Parker, Elyse Saugstad and Jackie Paaso and guide and instructor Lel Tone just wrapped up a four-stop tour of their new Safe As women's backcountry safety clinics. The tour went from Snowbird, Utah, to Squaw Valley, Calif., to Crystal Mountain and Stevens Pass, Wash. 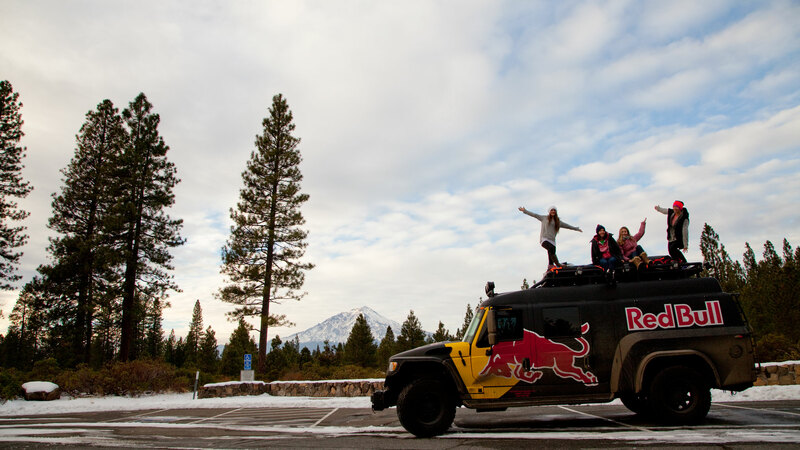 The crew traveled from Tahoe to Washington this week in a custom-built Red Bull vehicle equipped with its own driver (a lucky guy named Paul). Here they are en route north with a stopover near Mount Shasta, Calif.
Ingrid Backstrom, who won the 2013 X Games Real Women fan vote last spring, and Jackie Paaso, a Freeride World Tour competitor, at a roadside break in Mount Shasta, Calif. On the road to Washington, the women worked out logistics for their two final stops of the avalanche tour and made plans for next year. "We hope to continue doing this next year and maybe even expand to another state," says Paaso. 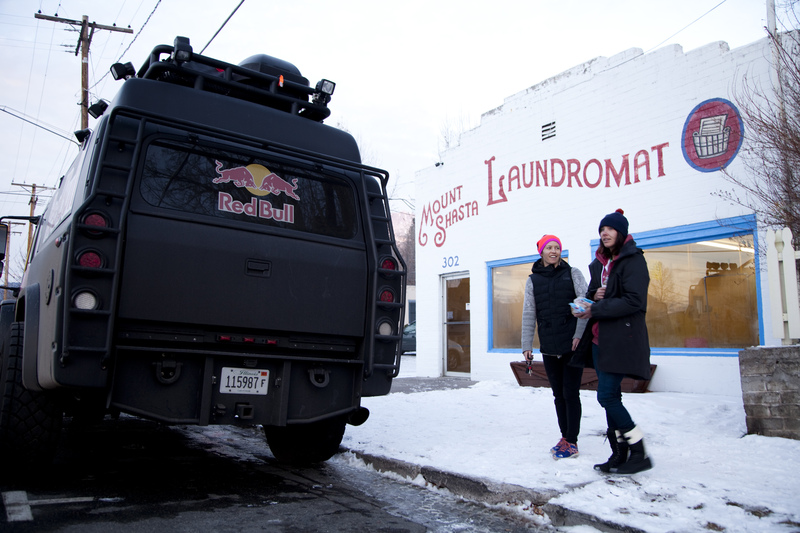 After two days on the road, they arrived at Crystal Mountain, Wash. 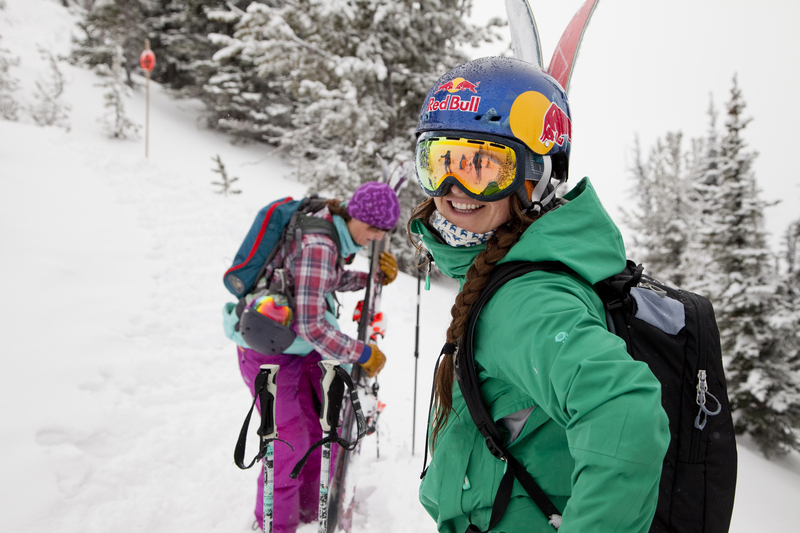 Here, Michelle Parker gets ready for a day of freeskiing before the clinics start. 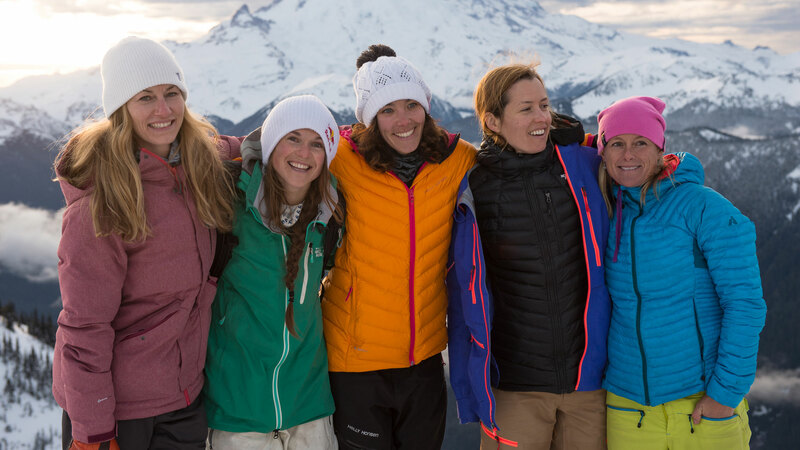 At the top of Crystal Mountain, the five women who make up the Safe As crew pose for a photo. From left to right: Elyse Saugstad, Michelle Parker, Jackie Paaso, Ingrid Backstrom and Lel Tone. 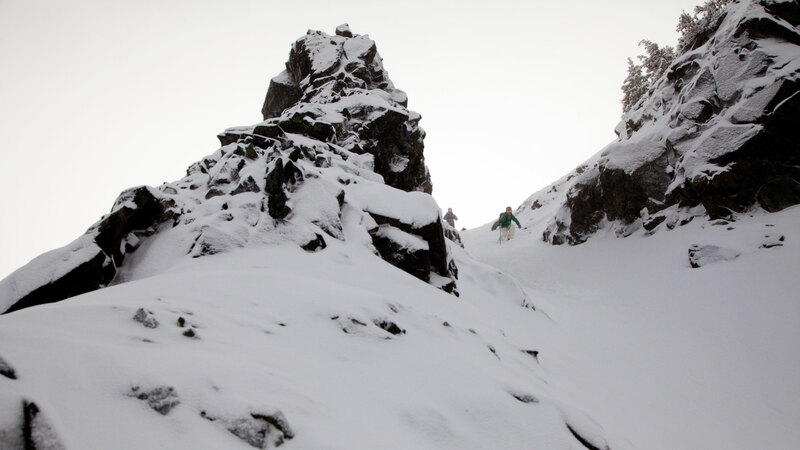 The group on a bootpack up Crystal Mountain's southback terrain, which is controlled inbounds terrain that has the hike-to feel of the backcountry but without the same risks. Elyse Saustad dropping into her line off the King at Crystal Mountain. Saugstad survived an avalanche that killed three of her ski partners on the backside of Stevens Pass, Wash., in February 2012. She spoke about her experience in that slide -- and the lessons she learned from it -- during the Safe As clinics. Michelle Parker drops in while Jackie Paaso keeps an eye out from above. "This class isn't meant to scare people," Parker says. 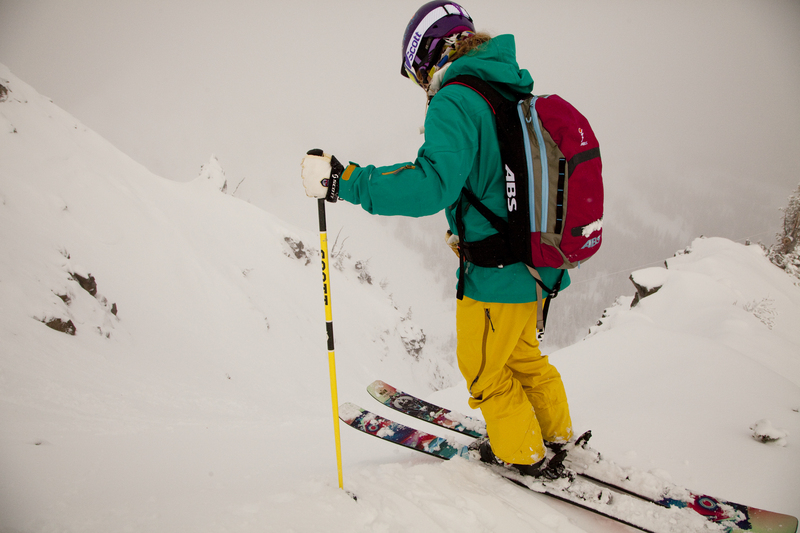 "It's meant to give women the tools and education to help them make smart decisions in the backcountry." At each clinic, around 30 women -- a sold-out crowd -- showed up for a full day packed with education and on-hill drills and skill development. 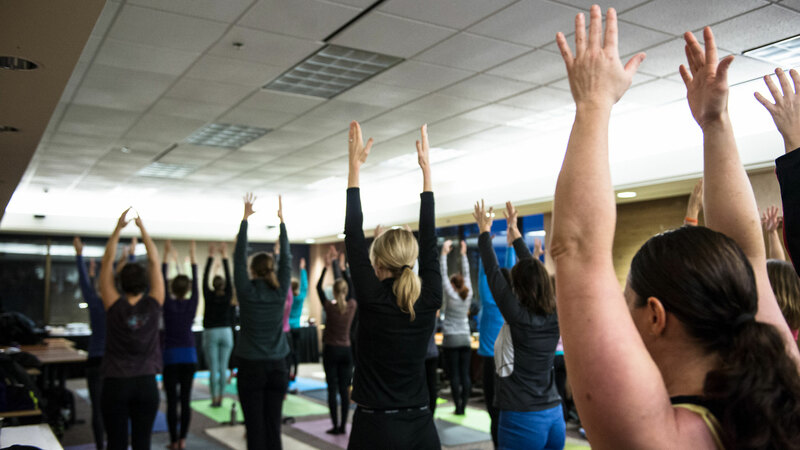 The women started their day out with an hour-long yoga session. 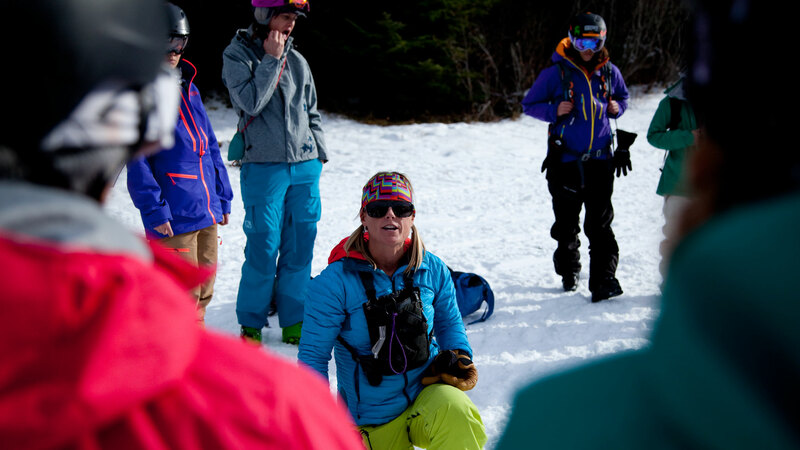 Next, the women sat through a morning of classroom instruction from AIARE-certified instructor Lel Tone, a Squaw Valley ski patroller and a heli-ski guide in Alaska. 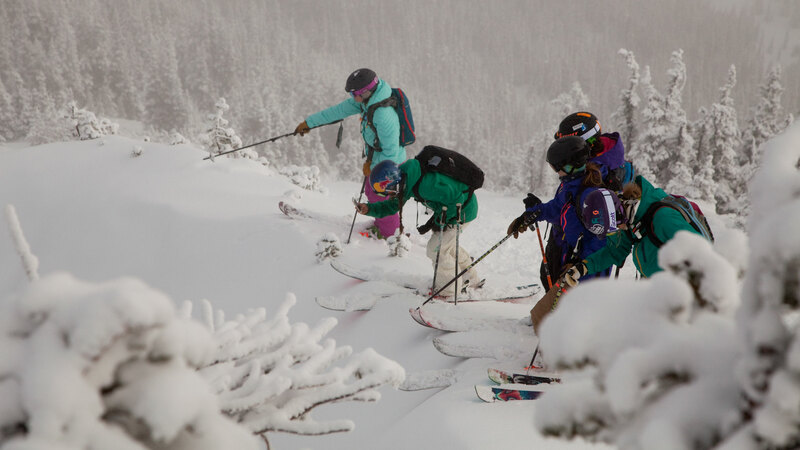 "This is an introductory or refresher class, one that we hopes encourage women to sign up for their Level 1 Avalanche certification if they don't have it already," says Tone. 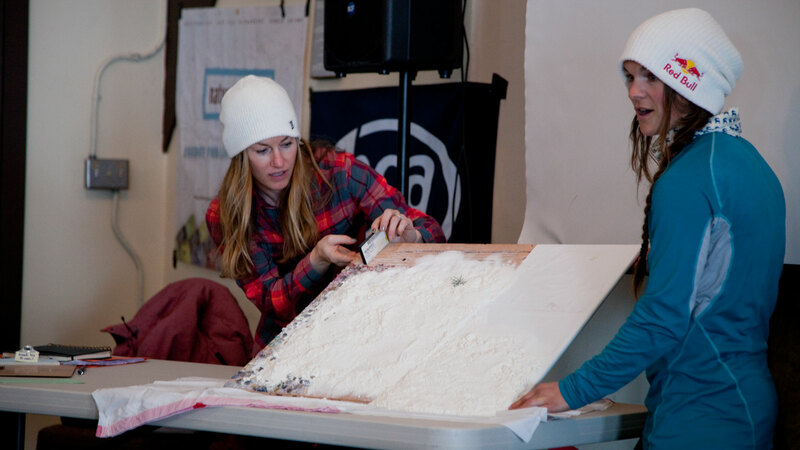 Elyse Saugstad and Michelle Parker simulate -- using a board covered in sugar, crushed potato chips and flour -- how an unstable snowpack tilted to just the right angle (typically between 30 and 45 degrees) can avalanche. In the afternoon, the women head outside for beacon drills and rescue scenarios. 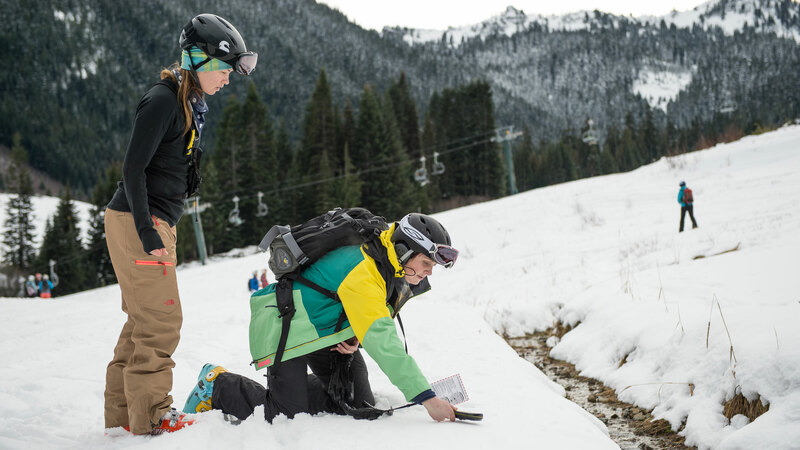 Here, Ingrid Backstrom helps a student in the clinic practice her beacon skills during an on-snow session at Crystal Mountain, Wash.
Abbi Ness, a student in the class, demonstrates blowing up an avalanche airbag backback while Elyse Saugstad looks on. 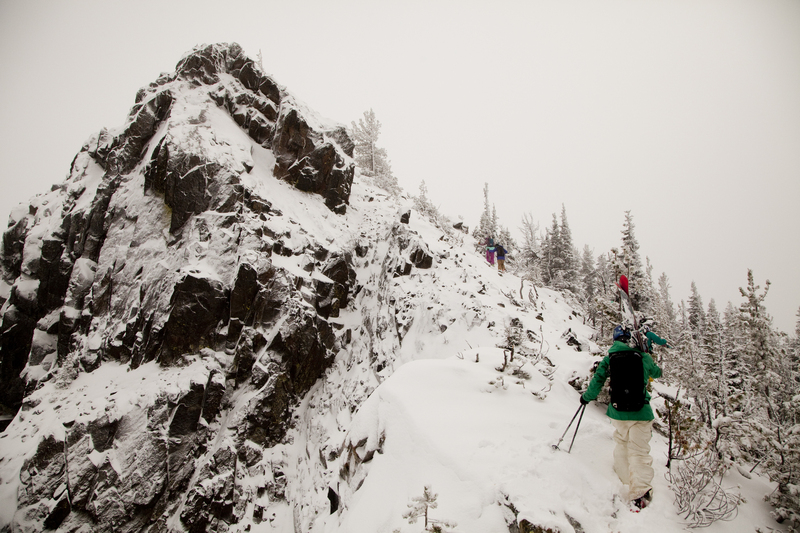 "Education is the most important tool for staying safe in the backcountry," Saugstad says. "But these airbag backpacks can offer a life-saving tool in a worst case scenario." "Tune in your avalanche eyeballs," Lel Tone says while demonstrating beacon skills at the base of Crystal Mountain. She helped to teach the women not only how to use their avalanche safety gear -- avalanche beacon, shovel and probe -- but also how to look for clues in the terrain. 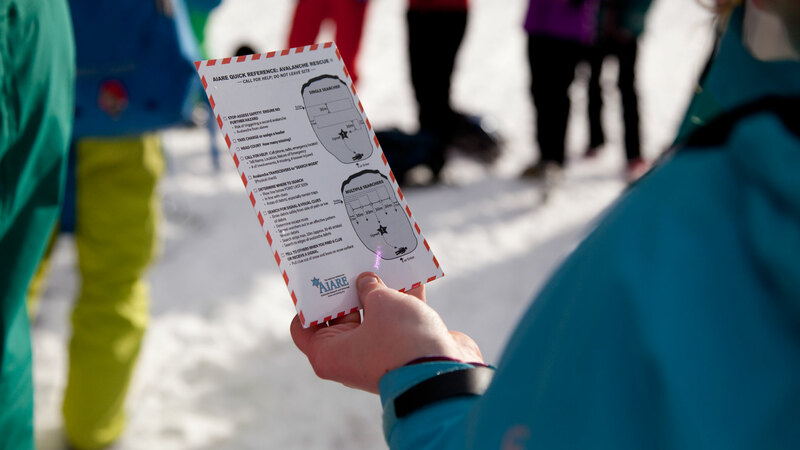 All avalanche safety courses these days teach about human factors -- the various social and personal influences that impact smart decision making -- and how to combat them using a checklist that ensures you follow all of the right steps along the way. 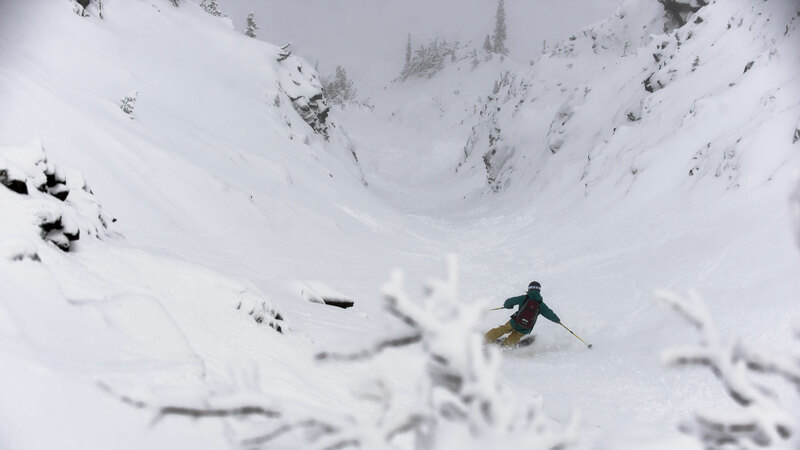 Elyse Saugstad shredding a line down the southback zone of Crystal Mountain, Wash. "I ski in the backcountry to seek varied, untracked terrain and get away from the crowds," Saugstad says. "But before you go, make sure you have the proper education and rescue training, safety gear and knowledge of how to use it." 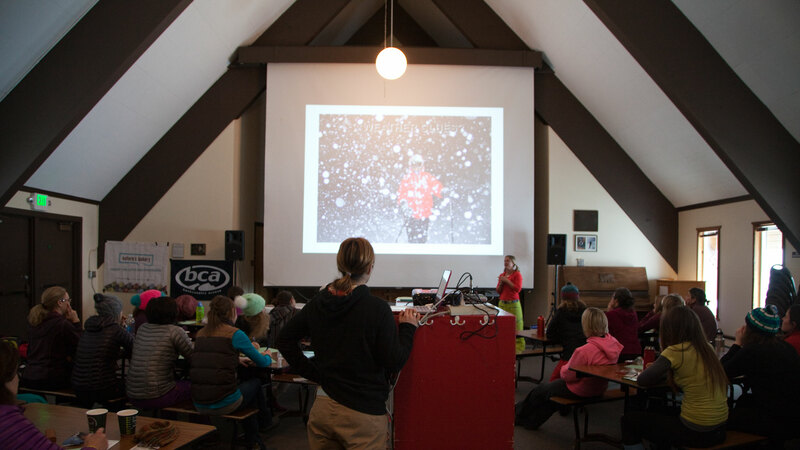 The Safe As crew taught one clinic last year at Squaw Valley and expanded their tour to five clinics in four locations this year. Next year? Possibly more of the same. "We're still working out the details," says Michelle Parker, shown here. "But we've had such a great turnout this year, how can we not keep this going?"